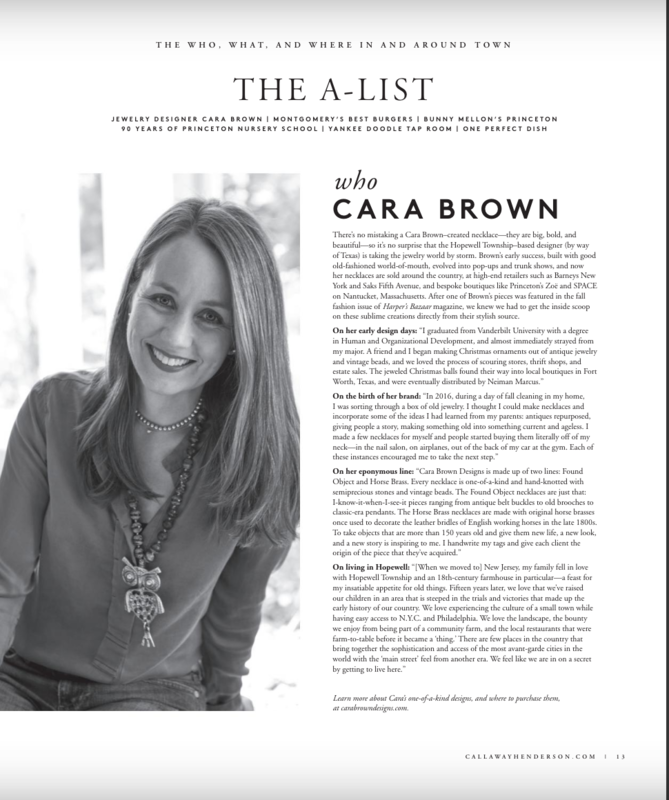 Cara Brown: I developed a love for beautiful, old things and the history that goes with them from my parents. My mother is an interior designer and has been in the business for about 40 years, so I grew up around beautiful antiques and gorgeous fabrics. When I was younger my mom and dad would hunt for antiques for her clients, and my dad always loved the story behind each piece purchased. Because of that, I handwrite my tags and give each person their own story, so that they know the depth of the necklace they purchase.